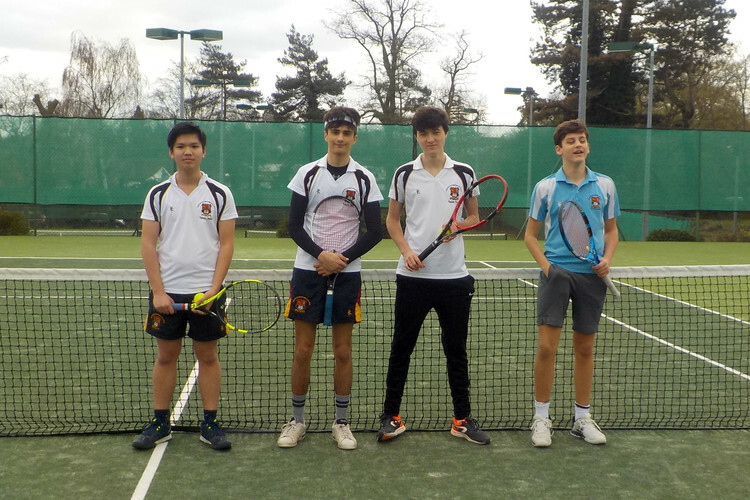 The tennis season started in earnest on Tuesday 26th March with the U19 National Schools Tennis Championships and the College team winning 5-1 in matches v Sandringham B Team. Maxime S and Ben H won their doubles in 3 sets, winning the first 7-5 in a very close set, losing the 2nd set 0-6 and then making a come back in the 3 set championship tie-break winning 10-7! Conrad Y playing at 4, won his singles 6-2 6-1 playing very well against an equally rated opponent. Tom C playing at 3 beat a boy 1 rating higher than himself 7-5 6-3, again an excellent result. Tom and Conrad then teamed up in the 2nd pair doubles and won 6-2 6-3, whilst Ben played extremely well at 2 winning 6-2 6-2 against a similarly rated player and Maxime had a tough match playing at 1 against a boy who was several ratings higher, but managed to pick up 2 games. The overall result mean that the College go through to the 3rd round! Well done to everyone - a fantastic performance!